love this photo, such a great juxoposition, frost/green. Happy creature. Say it soft and it's almost like braying. i loevd the muted, desaturated colours. 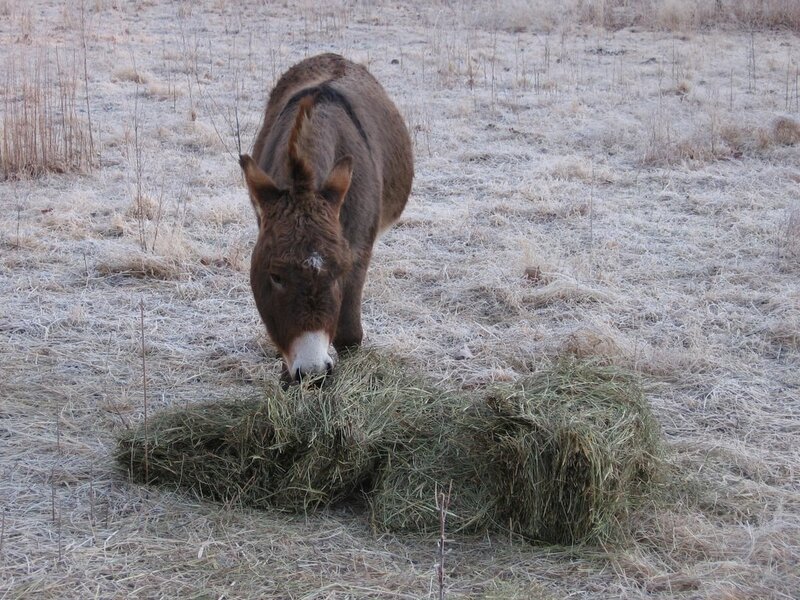 Feed them (an increased portion) of the poorest quality hay on the coldest days because they have to work harder to digest it, thus generating more internal heat? Maybe a horse owner would know? Hmmmm. That's an interesting theory I'm not famliar with. I do know that you need to be sure that your animals are getting enough calories and nutrients when they're eating hay (vs. fresh pasture). In the winter when my ewes are pregnant, I supplement their diet with alfalfa and grain because a pregnant sheep literally cannot consume the calories she needs each day just from hay--too much of her stomach space is taken up by her unborn lamb(s). She needs something more calorie dense.